The supervisory board elected Diana Windmeißer to be the first woman in DATEV's executive board as chairman Prof. Dieter Kempf is handing over his office to his successor Dr. Robert Mayr. As of 1 April 2016, after 20 years at the top of the cooperative, Prof. Dieter Kempf will now withdraw and pass the business on to his successor, Dr. Robert Mayr. Dr. Mayr, born in 1966 in the founding year of DATEV, has been a member of DATEV’s executive board since April 2011. 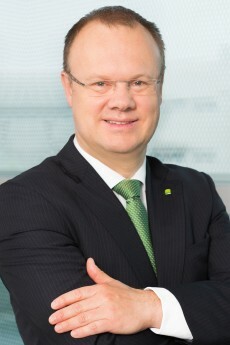 Up to now, he has been in charge of internal EDP, finance, purchasing, and production (computer center, printing, and shipping); since 2014 with extended tasks and as deputy of Prof. Kempf. From April 2016 onward, as the new chairman, Dr. Mayr is going to manage the fortunes of DATEV. Robert Mayr has had many years of experience and knowledge of the tax advisory profession, a comprehensive understanding of the needs of small and medium-sized enterprises, and expert knowledge in the field of information technology. The supervisory board has appointed Diana Windmeißer (48) as a new member of the executive board as of 1 April 2016. 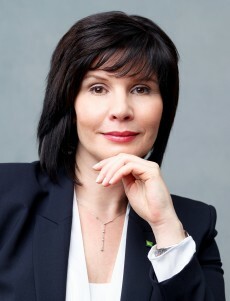 Ms. Windmeißer will take over the department of internal EDP, finance, purchasing, and production (computer center, printing, and shipping) from Dr. Robert Mayr. Being both business economist and tax consultant, she has had many years of experience and knowledge in all parts of corporate finance. Also her wide range of experience in auditing and tax consultancy was an important criterion for choosing her. Windmeißer worked in various leading positions at E.ON and Price Waterhouse Coopers.